The winter comes with a promise of steaming mugs of hot chocolate and fun in the snow. But keeping all the fun aside for a moment, you have to take care of your water well as well. The cold temperature can cause the water to freeze and cause you some inconvenience. A frozen well can cut off the water supply in your house, causing your daily chores to come to a halt. Not to mention the fact that it puts your house at risk for water damage, which will be very expensive to repair. You don’t need to panic, because we are here with a solution. Today, we will you some ways that will prevent your well from freezing this winter. In those lazy winter evenings, all you want to do is snuggle in a blanket and do nothing. Before you go into hibernation mode, call a professional to come and inspect your well as well as the pipes to see if there is any damage. Not just that, you also have to contact them after harsh or freezing temperature to make sure that your well is in perfect shape. Getting your well inspected will reveal any issues before they have time to accelerate. Any minor issues will be detected and fixed right away by a professional. A lot of people think that their pipes don’t need any sort of insulation. That is wrong. You need to make sure that your pipes are protected from the harsh winter winds. They need some sort of padding to battle the cold bitter winds. Left unprotected, they can get frozen very quickly, causing you inconvenience. During any other time of the year, dripping faucets are considered to be bad. But in the winter season, dripping faucets keep the water flowing. Let the faucets drizzle or drip a little to avoid the build-up of pressure in the pipes. This will keep the water in the well from freezing. 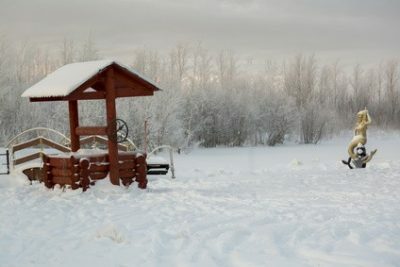 A good way to make sure that the well does not freeze is by maintaining the temperature at 70 degrees inside your house. There are several studies that suggest that by maintaining this temperature, the pipes are less likely to freeze. Last but not least, you have to keep a constant eye on your well pump as well as the pipes. If you notice any problem, no matter how small it may be, you should contact a professional to come and have a look at it immediately. Remember, avoiding this problem can be very hefty for your pocket. Checking your water well for damage is not something you should do by yourself. Always get a professional to do the inspection and make repairs. Remember, this is not something you can learn doing by watching a tutorial video or two. Give Ries Well Drilling, Inc. a call today at (586) 784-9516. We can answer any questions you have about reducing the risk of having your water well freeze this winter!